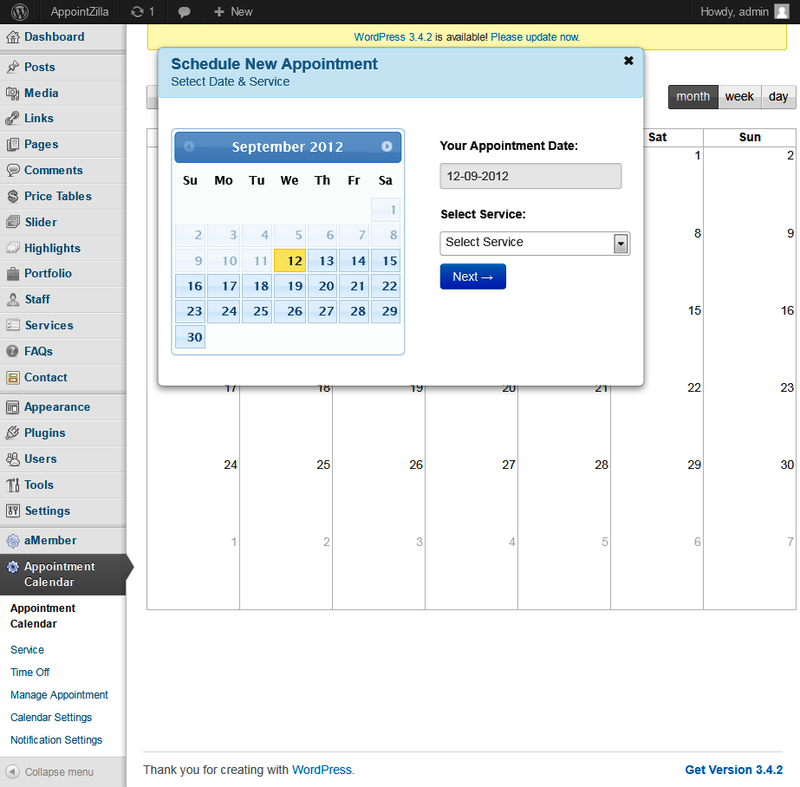 Appointzilla is a simple yet powerful plugin for accepting online appointments & bookings on your WordPress blog site. No need to use third party appointment booking services, everything can be managed from inside the WordPress admin panel. Provide your clients with Out-of-box Appointment Management Solution. Appointzilla is a WordPress plugin available for one time fee. No need to utilize hosted appointment scheduling services. Everything can be managed from inside your WordPress DashBoard. Manage Unlimited Staff and services. Staff can be linked to services and vice-versa. Appointzilla is ideal for web developers who want to provide their clients with an appointment management solution. Be it Salon, Spa, Lawyer or Consultant.